they should post this on the main blogging page for everyone to be aware of! Absolutely agree with that post!I hate these captchas and I am always sooo annoyed by them,if I leave a comment somewhere. ahahah brava! sono d'accordo con te! I agree captcha is annoying. My blog doesn´t use it. Bruna presenta su colección más dulce Sweet Candy ¿te lo vas a perder? SO glad you did this! i agree 100%! i never had those stupid captcha! plus it makes it even harder to comment when on your cell! Totaly agree. I hate it!! I completely agree! And they have been harder to read lately! I know spam is annoying too, but I believe most blogs should have a spam filter to take care of it! Thank you for doing this post, I will encourage others to stop this as well so we can have more interactive blogging community! i totally agree with you! thanks for sharing! I turned mine off about a month ago due to a previous suggestion that you made and I'm glad I did. Those letters really are hard to read and sometimes it takes me as many as three times to get the letters right. UGH! Thanks for posting about this! Oh, and I don't get spam. I mean, people already have a busy life , and even visiting and commenting somebody's blog requires time, why do you want to make them lose even more time to try to understand captchas? The image you created is really nice! I am soooo glad you have spoken! I hate captchas and they definitely discourage ppl from commenting! Haha indeed. My God! It is so annoying. I hope I dont have that on my blog. Totally Agree, it so annoying!!! 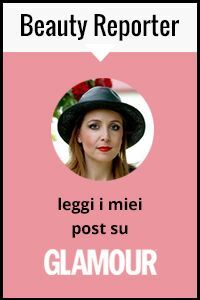 Guarda Vale, sono le 23 e 37, io ho appena finito di ricommentare chi mi ha commentato e ci ho messo la bellezza di 4 ore tutto per via dei captcha codes, stavo pensando di scrivere addirittura nei post che non ricommento chi mette i codici di verifica perchè non se ne può più!!! Ciao cara! Grazie per i follow! Grazie anche per avermi avvisata... ho provveduto a eliminarli, ma ti chiedo conferma visto che non ho modo di vederlo personalmente. Un abbraccio! Anche io sul mio ho rimosso questo fastidio codice! non se ne può più! they bug, & waste time. Maybe we can follow each other? Following you now! Just removed the captchas on my blog :) I agree with this! God you're right, I hate CAPTCHA. Plus with my horribly slow internet I often have to try three or for times before it even appears. Thanks for the comments, following you on google and bloglovin. I 100% agree! Love this post! Great ideas sweets, can't stand those captchas - I actually tend to leave a site with them on coz they are impossible to read, and you have to do it over and over again. Will post this on my blog. I agree- they are really hard to read sometimes! I'm always like, "Am I going blind or..."
Have a great Thursday, doll! Hola!! Es cierto que los captchas son molestos a veces!! Oh yeah it is really so annoying! Love your blog, interested in following each other? Thanks for your comment, of course we should follow each other! No WONDER you have so many comments! Haha. Great advice! I do not have captchas in my blog , thought I was the only one who thought that..! Thank you for your sweet comment, I am now following here and via Bloglovin', please follow me back? I sometimes refrain from posting a comment because I get too annoyed to spend time making out a string of alphas and numbers. yayyyyy glad to see this post!!! absolutely 100% agree. i've stopped commenting on some blogs because it just takes too long with all those captchas!!! !